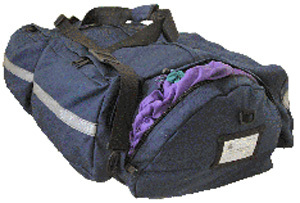 Detachable gear bag with 1666 cubic inch capacity. Side-opening fire shelter pouch (also available with left-handed opening) designed to hold either old-style or new-style fire shelter. Two (1.0 L) water bottle side pockets w/flaps. Zipper accessory pouch below fire shelter. 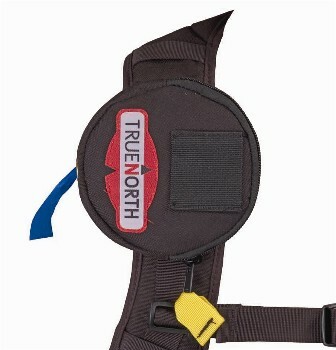 Space on waist and shoulder straps for accessory pouches.